for the healthcare industry: reductions of development risk and duration, increased ROI, as well as opening new avenues of development. for the diagnostic industry: provide real diagnostics and decision support tools, instead of merely providing measurement technologies. for the patient: an enhanced and tailored health management. 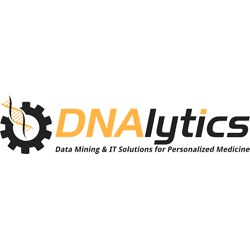 To reach its objectives, DNAlytics provides expert knowhow in data mining, machine learning, statistics, intensive computing, data management and web technologies. This set of expertises is complementary to those usually encountered in the healthcare industry. Support activities such as regulatory affairs management, sales and marketing will also be supported. 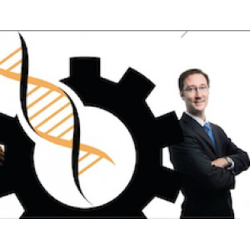 By its contribution overall, DNAlytics will thus help its partners and customers adopt an adequate positioning in the field of predictive and personalized medicine. 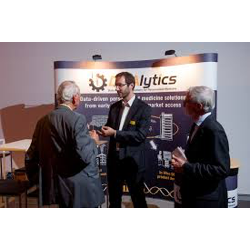 DNAlytics deploys a business model with two mutually-reinforcing activities. The first one is based on a service activity serving the R&D departments of our customers, pharmaceutical or biotech companies as well as academic laboratories active in clinical research.